What is the best hour to send Newsletters ? They say that timing is everything. Well, it’s not always the case but in email marketing, it rings some truth. You don’t want to waste your time and effort creating emails and sending them at random hours, you have to play smart in email marketing. You have to consider the perfect time to send out your newsletters. Of course, you’d want your subscribers to open and read your emails and get a good response. People have different email viewing habits so you have to understand your target and demographics. What time does your subscribers normally check their emails? When do they usually open, read and respond to their emails? Would they still open a 12-hour-old email? It’s really a bummer knowing you’ve been working hard only to get minimal response. Why is your feedback low? Why are your subscribers not responding? Worst case, your emails might have ended up in the spam folder or got buried underneath a ton of email. The next question is, when is the best hour to send newslettters? Always consider sending your emails at daytime. You’d want to send your newsletters while your recipients are active and awake. Also, take note if you are sending emails on the weekdays or the weekends. During the weekdays, people tend to check their emails frequently on day time. Over the weekends, people check late after noon or at night. Ensure that your emails reach their recipients on the first hour of delivery. It’s been proven that emails opened an hour after delivery get better response rates. Avoid sending emails in times where people are engaged in their schedules. Most likely avoid the 5-7 PM timeline. This is the time that people usually go home which means commuting, preparing dinner and doing the chores – less open and response rates to your newsletters. By 8pm, people usually mellow down and have time to check their emails again. Messages sent in the afternoon have higher chances of getting opened and getting a response compared to those emails sent too early in the morning or too late at night. Sending your emails in 12nn-6pm time frame will give you a higher click rate. While good response times are 8am-9am and 3:00-4:00pm. Most emails are sent in between 6:00am-12nn. This is the time where emails rapidly come in, which results in your newsletters getting buried in the fray. 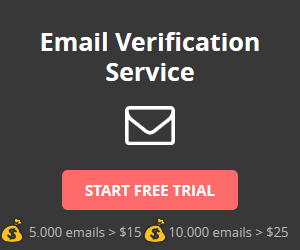 Higher competition and lesser chances of getting your emails opened. Avoid letting your emails sit long in the inbox. The longer they are unnoticed, the more they lose their impact. Schedule your emails an hour before high opening rate times to ensure that it gets attention. The longer your emails stay overlooked in the inbox, then the lower the response rate becomes as the hours go by. Understand the time zones. People operate on different times all over the world, there are hour or even day long differences in different countries. You have to ensure that your schedule matches your target audience’s local time. In order to have a successful newsletter campaign, you have to consider various factors including the timing. You can test the waters yourself, research about your subscribers, do some comparative tests regarding the time frames versus the opening rates. There are no “absolute” rules about the “best” hour in sending your newsletters since it differs on each marketers needs and target. However, there are available data and guidelines that you can base on.